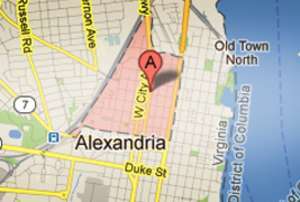 Alexandria welcomes motorcoaches with free parking options and user-friendly resources. Designated loading and unloading areas and short-term and long-term parking options are available with convenient online resources, maps and suggestions to make visiting Alexandria easy. Motorcoach parking in historic Old Town Alexandria requires a parking permit that can be obtained through online registration. Request Your Motorcoach Parking Permit and see how simple it can be. 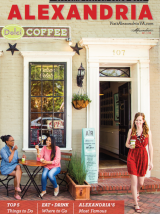 Additional free, unreserved parking locations are available within three miles of Old Town. Paid short-term and long-term parking are also available, and require advance reservation. Please review our approved motorcoach areas below. Active loading and unloading for motorcoaches is allowed only in designated areas throughout the historic district. For your convenience, we have provided a list of approved locations closest to nearby attractions. Please be aware that the Alexandria Police Department will strictly enforce any violations. Unit block of King Street (one space), north side, westbound, behind King Street Trolley. Do not load/unload on Union or Cameron streets. 300 block of King Street (five spaces), north side, west- bound between Fairfax and Royal streets. 100 block of North Royal Street (one space), west side, southbound between Cameron & King streets, directly in front of Gadsby&apos;s Tavern Museum & Restaurant. 100 block of N. Washington Street (five spaces), between Cameron & King streets, west side, southbound EXCEPT 4-6pm Monday through Friday. 100 block of S. Washington Street (one space), between Prince and King streets, east side, northbound EXCEPT for 7-9am Monday through Friday. Do not block the DASH/MetroBus stop. George Washington Masonic Memorial: 101 Callahan Drive, 25 spaces. Permits must be obtained in advance from the City of Alexandria. Register here. Thank you for visiting Alexandria. We appreciate your business and wish you a pleasant stay. Please obey our rules and regulations, as violations will be strictly enforced. Idling longer than 15 minutes is subject to a $50 fine. Motorcoaches parked in designated spots must turn off their engines. Double parking, stopping so as to obstruct traffic and stopping to load or unload passengers in the traveled portion of any street are prohibited and subject to a $200 fine. Tour and sight-seeing motorcoaches may not use locations other than designated parking spaces and are subject to a $100 fine. Motorcoaches planning to travel on the George Washington Memorial Parkway must be aware of numerous low clearance bridges on the parkway. You can view more information by visiting the National Park Service website at nps.gov/gwmp or you may call the permit Park Ranger at 703-289-2516 for general inquiries or questions. For additional assistance, email MFallon@VisitAlexVA.com. Administrative office hours are 9 a.m. - 5 p.m., Monday through Friday. Additionally, a 24 hour information hotline from the City of Alexandria can be reached by calling 703-746-4020.